William McCollum was the son of James and Martha McCollum. William was born on the 9th January 1884 in Clogher. The 1901 census shows Willie as 19 years old. He was a grocery assistant. The family was living at Clogher Tenements, Clogher. It is believed William emigrated to Canada in 1909. By 1916, William was living in Victoria B.C. He was working as a timekeeper. William McCollum enlisted on 18th January 1916 at Calgary. He gives his next of kin as his mother, Martha. He was not married. Private William McCollum was serving with the 50th Battalion of the Canadian Infantry (Alberta Regiment) when he died in France on 19th February 1918, age 36. The 1901 census shows Willie as 19 years old. He was a grocery assistant. 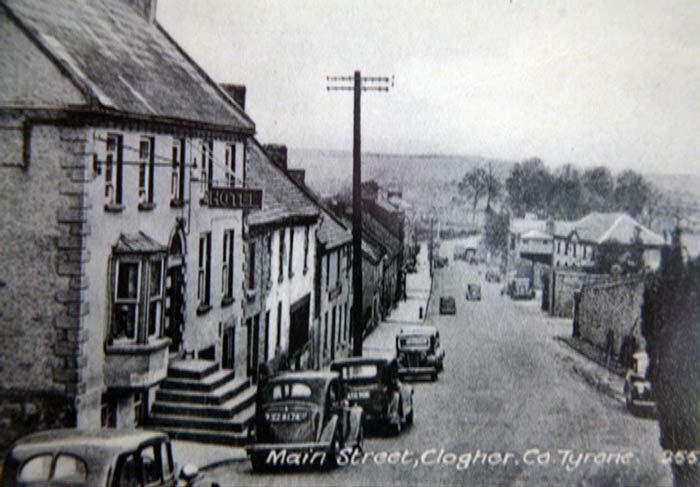 The family was living at Clogher Tenements, Clogher. It is believed William emigrated to Canada in 1909. By 1916, William was living in Victoria B.C. He was working as a timekeeper. 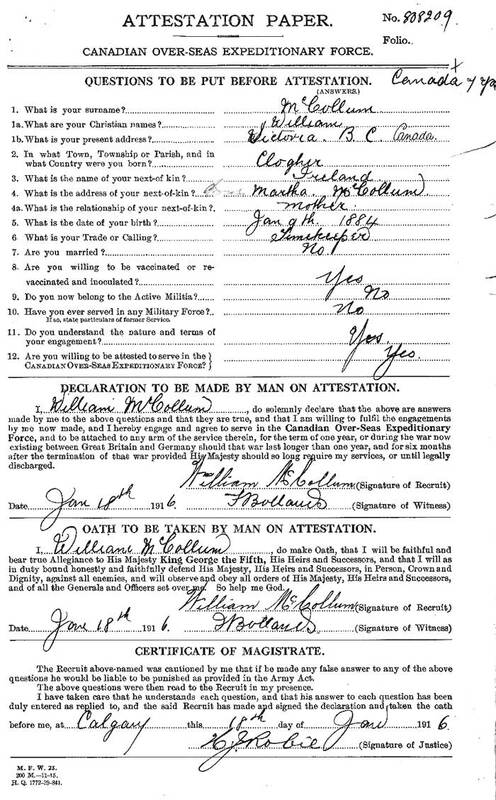 William McCollum enlisted on 18th January 1916 at Calgary. He gives his next of kin as his mother, Martha. He was not married. Private McCollum was wounded in the latter part of 1917 and was home in Tyrone on leave in January 1918. Private William McCollum was serving with the 50th Battalion of the Canadian Infantry (Alberta Regiment) when he was killed in action in France on 19th February 1918, age 36. 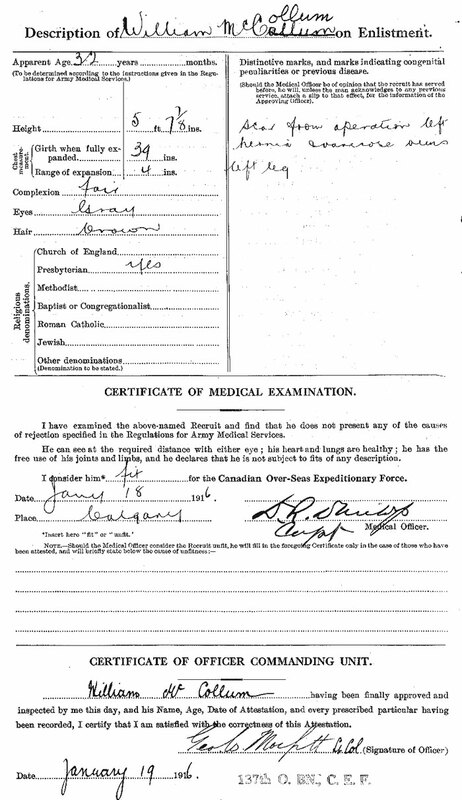 The Canadian Circumstances of Death Register records that Private McCollum was killed in action on 19th February 1918. His unit were in trenches south west of Lens at the time. 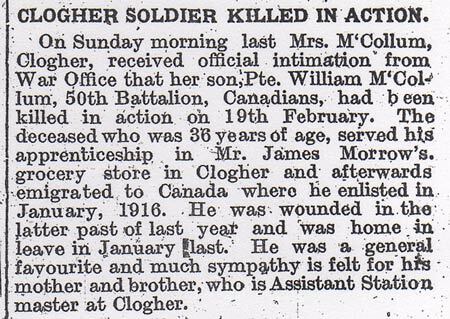 Official intimation has been received by Mrs McCollum, Clogher, that her son Private William McCollum, of the Canadians, ad been killed in action on 19th February. On Sunday morning last Mrs McCollum, Clogher, received official intimation from the War Office that her son Private William McCollum, 50th Battalion, Canadians, had been killed in action on 19th February. 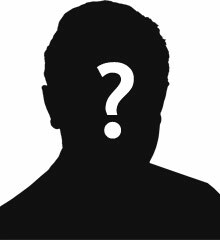 The deceased was 36 years of age, served his apprenticeship in Mr James Morrow's grocery store in Clogher and afterwards emigrated to Canada where he enlisted in January 1916. He was wounded in the latter part of last year and was home on leave in January last. He was a general favourite and much sympathy is felt for his mother and brother, who is Assistant Station Master at Clogher. 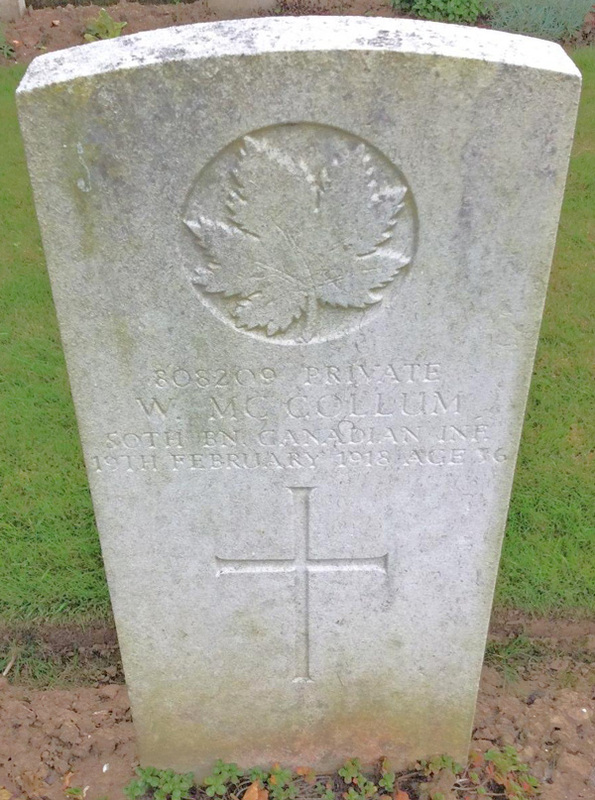 Private W McCollum is buried in Sucrerie Cemetery, Albain St. Nazaire, France. William McCollum's brother was the Assistant Station Master at Clogher. 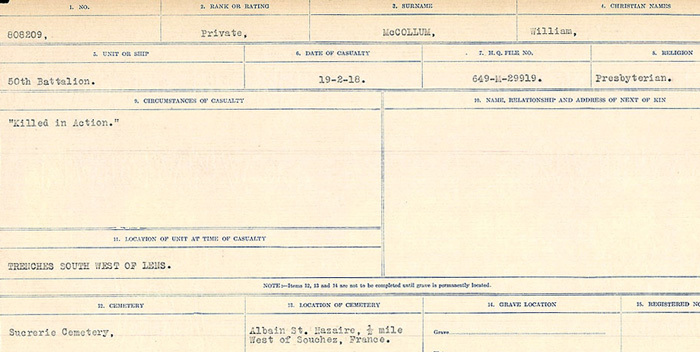 The CWGC record Private W McCollum as the son of James and Martha McCollum of Clogher, County Tyrone, Ireland.